For now, Google displays a black bar at the top of most of its properties that link to other Google properties. If you look at the bar right now, you will notice that it links to Search, Images, Maps, Gmail and of course the Google+ profile. The items listed here are partially there because they are the most popular services that Google has to offer, but also because of the company's agenda to push services such as Google+. It does not really make sense though from a user perspective to see items listed here that will never be used. If you never use Google News, Calendar or Google+, there is no need for those items to appear in the black toolbar at the top. Those users may however use other Google services that are hidden under the More link on the page. The free Google Chrome extension Big G Black Bar Sorter offers an easy solution for this. Once installed, you can simply drag and drop items around to either change their sorting order, or to hide them in the black bar or under the More link. To change the order, simply drag and drop an item to the new location on the bar that you want it to be displayed on. To remove an item, drag and drop it off the bar to do so. You can also drag and drop items that are listed under More to the toolbar, which can be useful if you are using products like Google Reader, Photos or Blogger regularly and want them to be accessible directly on Google properties. You can even add products listed under the "even more" link here, by first adding them to the menus with a click on "add to drop down" and then moving them to the position you want them to be accessible in. Big G Black Bar Sorter is a handy extension for Chrome users who often use Google's black toolbar and wish they could optimize it to remove unused products from it or to move used products that would otherwise be hidden on it. I’ve actually been wondering about that the past few days – is there a firefox extension for this too? There have been a few userscripts, but none seem to work with the latest version of the bar. As far as add-ons go, I could not find one. Well, keep looking and let us know. This extension (like most) doesn’t seem to work for iGoogle, which I still use as my homepage. Any similar extensions or thoughts on equipping it for iGoogle? Seconded. Doesn’t work on my iGoogle homepage. On a more commonsense approach the black bar with less words remain. What difference does it make if it has a few words more or less ? I never really understood why Google isn’t making it customizable. My Google Chrome does not display the black tool bar. So every time I need to do a Google Chrome search with images I have to type “images” into the search bar. 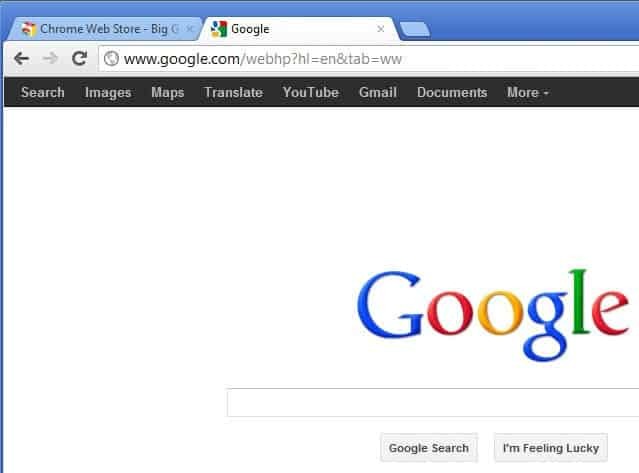 I need to get the black search toolbar back in the top of my Google Chrome page. I clicked on two of your live links and got ads and no helpful info. Is it just me being un-techie or is this happening to other readers? It’s good data but I need a toolbar.